Fuel Cell Power — The Hydrogen Reactor from Brunton was among the neatest items we saw today at the show. 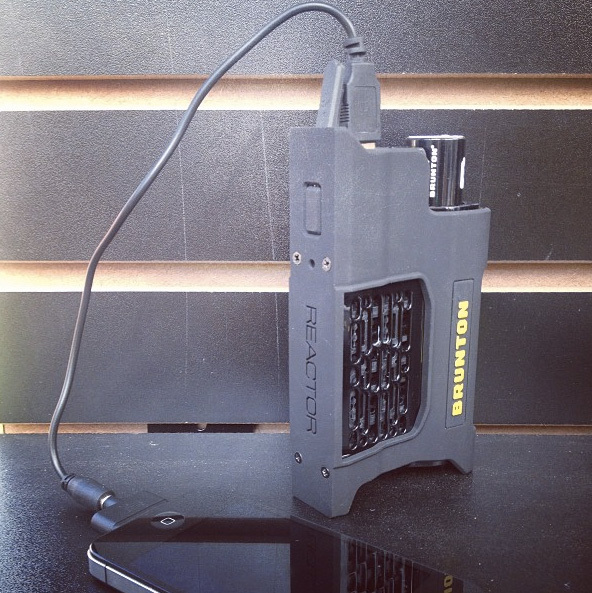 The device makes electricity with tiny screw-in fuel cells. Hydrogen reacts with air when the cell is engaged, creating enough juice to charge five iPhones. The hydrogen cells equal the same power output as 30+ AAA batteries, Brunton states. Plugs into USB-compatible devices and will cost $149.99. 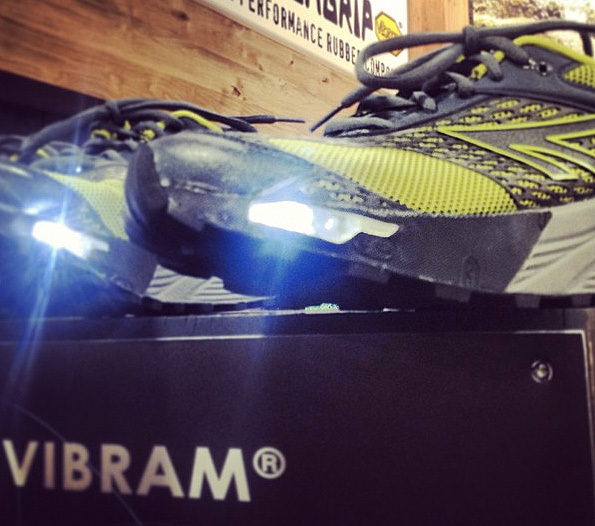 LED Shoes — Vibram revealed a lighting technology that lives in shoes. The to-be-launched LED sole had three light areas, including one underfoot. They can ignite the path as you run at night. We looked close and found a USB port in the rubber, ready for a cable to plug in and recharge. 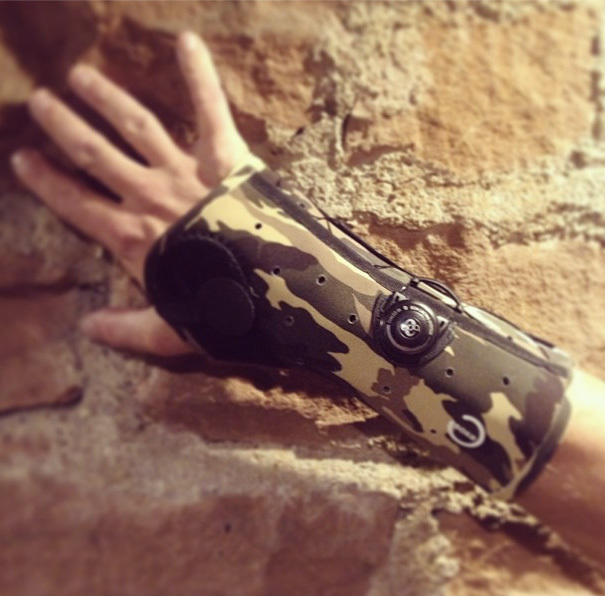 BOA All Over — This medical support piece pictured below has an outdoorsy motif and a twist-to-tighten BOA knob. The BOA system, more commonly seen on shoes or snowboard boots, uses thin steel cables that cinch tight as you twist the knob. BOA had a range of products on display at OR, including snowshoes, clipless biking shoes, and even a kayak seat where the system controlled lumber fit. Holey Pad — Large holes keep the weight down on this backpacking mattress from Klymit. But the design includes the lux touch of an integrated pillow, and the pad is generously thick and long for a solid night’s sleep. Called the Static V, the pad weighs 12.5 oz. and inflates to 21.5 × 72 × 1.5 inches. It comes to market next year for $99.95. Mountain Athletics Shoes — Train indoors (weights, rope climbing, pull-ups) as well as out (climbing, running) in the Ultra Kilowatt shoe. The North Face built the minimal shoe as a part of a new line focused on outdoor-athlete training. A Pebax plate in the rear of the sole offers stability for lifting. 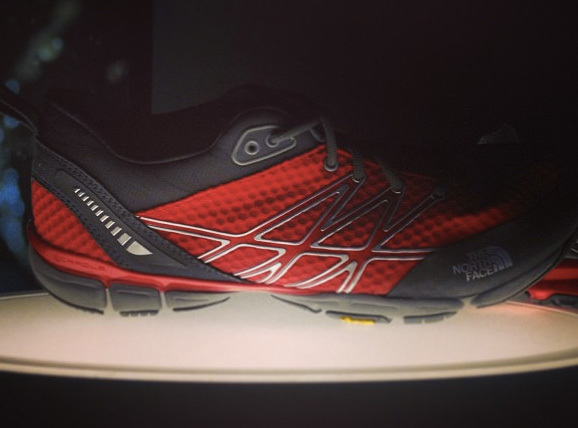 A special outsole gives flexibility for running but enough support while working out. $999 Gear Box — Whispbar’s top-end box, the WB701 Aero Mid-size Cargo Carrier, has a seamless look with no plastic lip or exposed rivets. 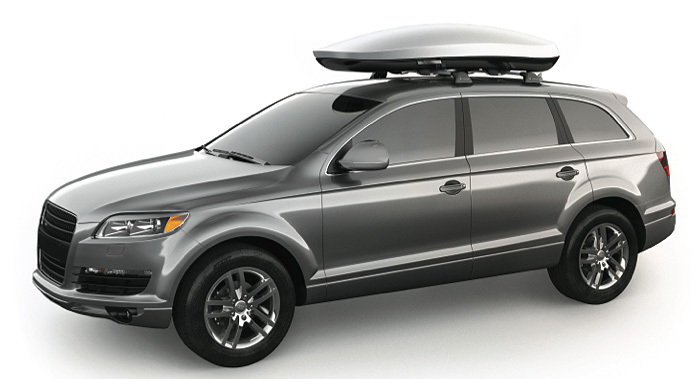 It’s made for luxury SUVs and cars and marketed to “compliment vehicles” with its streamlined look. Comes in high-gloss black or silver. 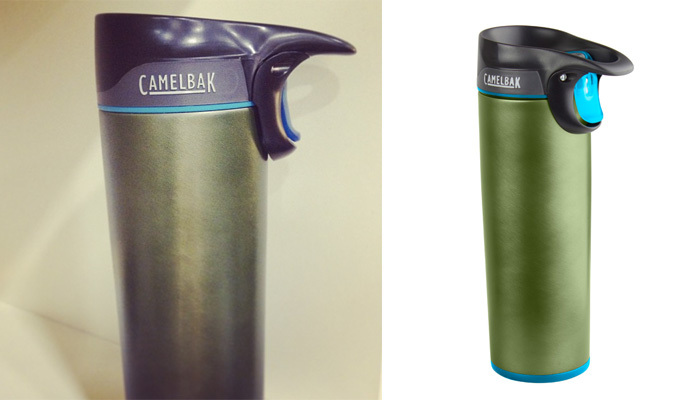 Some Like It Hot — CamelBak is known for its hydration packs and water bottles. With the new Forge insulated vessel you can tote hot tea or coffee. The brand calls the stainless steel Forge a “premium travel mug with a leak-proof cap.” We filled it with hot coffee and tipped it to the floor from a few feet up to test. Not a drop escaped. $30 (16 oz.) and $29 (12 oz. version). Streamlined Backpacker’s Pack — We were impressed with the attention to detail on the minimalist Virga 2, a pack by Granite Gear that we’ve worn for years (version 1). The new iteration refines the backpack with lighter materials, a new hip belt, a full roll-top closure, and more smart design that brings the pack weight down to just over 1 pound. 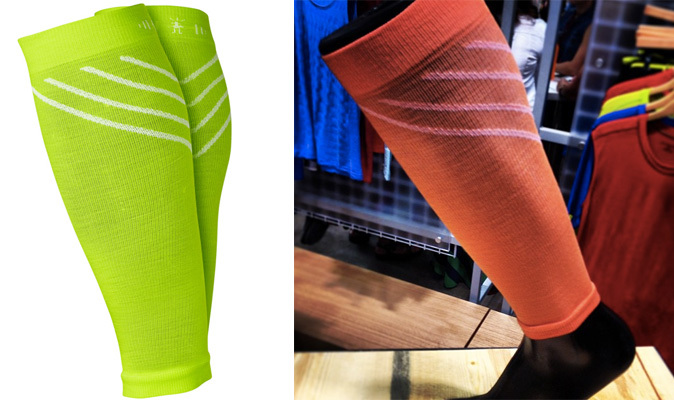 Wool Calf Sleeves — The PhD Calf Sleeve from SmartWool has graduated compression to support muscles and keep blood flowing optimally. Made of a merino/nylon hybrid for durability and stretch. $35. 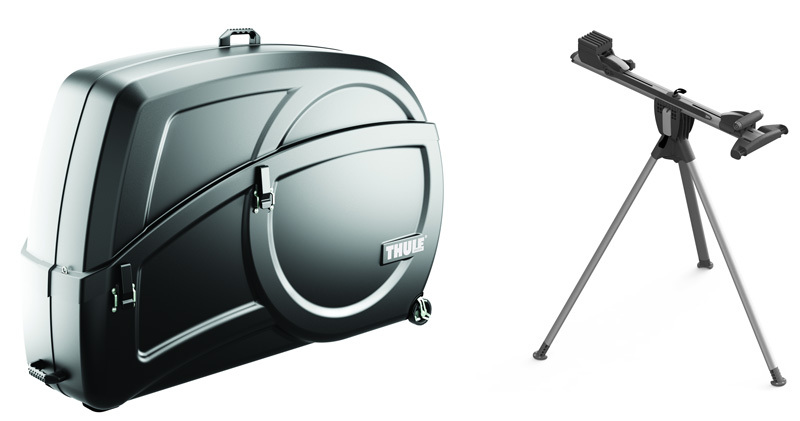 Ship Your Bike with a Stand — The Thule Round Trip Elite case includes an integrated stand. A traveler can fly with his bike as airline luggage. At a destination, unpack the bike and remove the built-in stand. The workstation gives you a place to set up, tune, and get the bike in shape to ride away. $599.95. 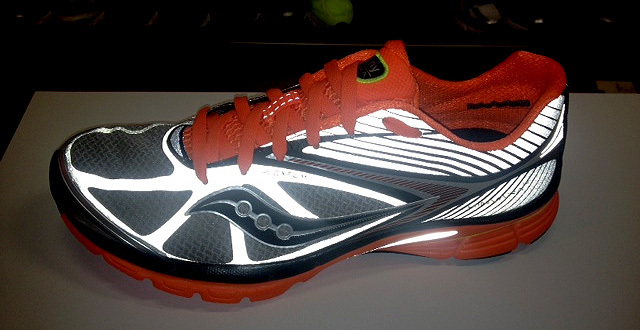 Kinvara 4 — Saucony’s popular road runner comes back in a new, glow in the dark version. The Kinvara 4 Visiglo, $110, ships in October and features 360 degrees of visibility. Reflective hits spark the shoe to life when car headlights grace its upper on a dark road. —See editor Stephen Regenold’s “Future Gear! 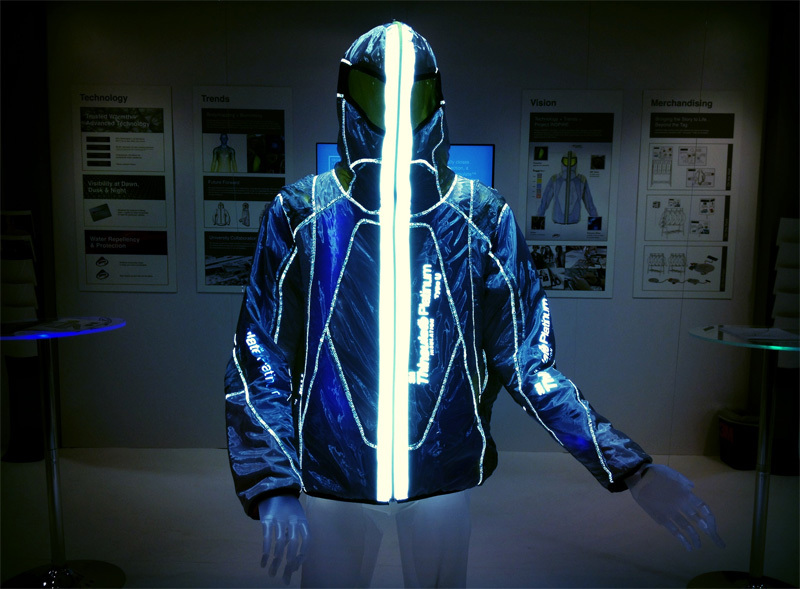 First Look at Outdoor Equipment for 2014” for more Outdoor Retailer products and coverage.